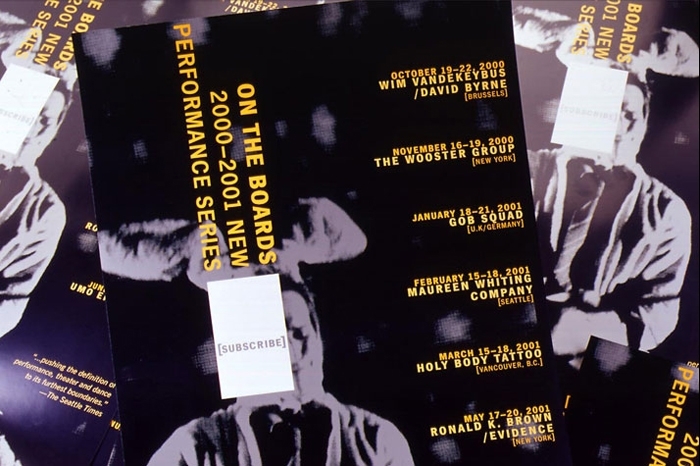 Our brochure and poster design for On the Boards used photography to draw readers into the excitement of the theatrical experience. 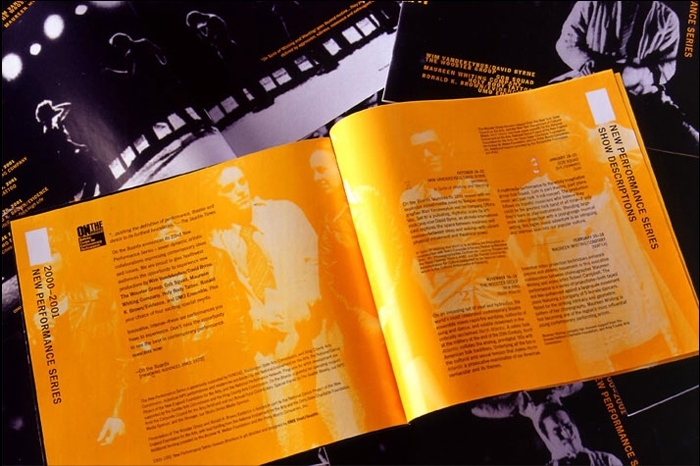 The high-contrast images unified the individual productions, while the photographic theme and typographic treatment emphasized the uniqueness of each performance group. The white boxes covering up a portion of each image act as a sort of stage curtain, inviting readers to imagine what lies behind them.